During the Uncovered stage event in March, Sakaguchi made a surprise showing, assuring franchise fans the world over that the newest entry met his high standards. We learn that his appearance was actually requested by Tabata, but Sakaguchi mandated that his words be subtitled so that his speech could be received at the same time by fans around the globe. The two joked about Tabata’s “air button” improv to reveal the release date, and how that date would bring with it an extraordinary amount of pressure. After Uncovered, Tabata shares that the team read a lot of feedback on the Platinum Demo. In fact, one of Tabata’s goals was to have something freely playable after the event’s conclusion. Earlier on in his career, Tabata says he tried to avoid falling in love with Final Fantasy, as the development environment wasn’t one he was able to participate in before joining Square Enix. One he joined up, he saw the staff members working on the games — imbuing each game with their passion and dedication, while dealing with extremely high expectations. Now directing the latest entry into the numbered series, Tabata feels he is personally contributing to the series legacy. Sakaguchi goes on to cite several other Final Fantasy directors that have come to him for advice, including Yoshinori Kitase (VIII, X), Yasumi Matsuno (XII), Motomu Toriyama (XIII), and Naoki Yoshida (XIV). These encounters weren’t always cordial and included heated debates over how to handle development of the series. When it came to Final Fantasy XV, Sakaguchi’s advice included fixing an awkward clipping issue where a Behemoth’s leg appeared stuck in a fence. While it seems like a small flaw to point out, Sakaguchi explained that it would convey to the team that he really cares about their work. He also advocated the team adding some sort of Easy Mode for long-time players of the series unaccustomed to action games. Tabata was unsure of breaking a precedent of having multiple difficulty modes in a Final Fantasy, but Sakaguchi assured him that it would be fine. Closing out the lengthy interview, Sakaguchi had some final advice for Tabata as they approach the final leg of the game’s decade-long development. We recommend you check out the entire interview in English on Famitsu’s website here. Let us know your thoughts with a comment below! Final Fantasy XV will be available worldwide on September 30th 2016 for PlayStation 4 and Xbox One. You can check out more of our extensive coverage on the game here. Guch. The man, the legend. It would be great if SE asked him to do another FF. Also, he sounds like he’s drunk every time someone from Square-Enix meets with him…. Wouldn’t be able to, he’s not a freelance guy first of all. Plus in a previous article, when he was asked if he had any plans to make a new title with Square-Enix, he said no, that he prefers to move on from Final Fantasy and not look back, since he’s doing new and good things now. Well not true. Square contracts talent all the time and since the management has changed since there is less “bad blood” plus a man can dream. Yeah but if he doesn`t want to there is simply no change. I think we should be glad that he still gives advice to SEs directors. Well I think FFXIVs relaunch is basically the epitome of fanservice for the franchise with a good story added on top. Doubt he would ever say much bad about it. Given how stagnant Japanese characters can be due to overuse of tropes and cliches, it’s better to vary a cast with some western style character background and depth. That’s why I always believe a western style story with japanese anime visuals would be the best JRPG. He kinda left to do his own dev group. I don’t think he could go back without ditching them and that’s not gonna happen. SE will be okay as long as they find another great mind to bounce ideas off. Nomura and Tabata can’t do everything. Imagine Witcher 3 with a world like Xenoblade Chronicles X, damn that would be incredible. They still have Ito, don`t forget that. He directed 6, 9 and 12 basically laid out the basics for combat for 1-3 went on to inventing the ATB system and worked on every FF outside of X, XIII and XIV. He is a living legend doing something at SE, nobody knows what thought. I LOVE XENOBLADE. Didn’t get to play the sequel, but the idea of have a world on the backs on two giants who are stuck mid-mortal combat and humanity springs up and evolves from the habitat along their metal armor! OUTSTANDING! Ever since Xenogears and Xenosaga that group has always been the best with new mind-blowing stories. PERIOD. Yeah but but I was talking about story writers. New ideas that that are used as plot. I’m sure he’s great, but unless he’s doing FF16 chances are they’re gonna have to dig deep and find someone new. I love Nomura’s work, but I don’t want him doing 16. I want a whole new perspective storywise. Something brand new. Maybe a new rookie writer brought in who used to write sci-fi fantasy novels. XCX has the best world ever created in videogames. I`m not talking about the story btw., talking about world building. I think FF16 will be a callback to the roots of the franchise. And Ito wrote on the scenario for 6 and wrote the scenario for 9. It seems like he wants to. And let’s be honest, cell phone games don’t take that much from the man. He doesn`t want to and said it multiple times that he wants to keep himself away from FF. Btw. he has a console game in the works right now and is only interested in what FF is doing because he created the damn franchise. yet and totally admitted not liking Naoki Yoshida while on a stream. He also mentioned that no healer should be a male as he wouldn’t want to be healed by one. I do praise his work on the FF series, but he seems to be very unpleasant to hang out with. Sakaguchi is very, very close-minded. I think the sucess he had with the FF franchise rose him a bit to the head. I mean he was the main man behind Spirits Within and got people to actually fund, I don`t trust him fully anymore in regards to games and don`t see why people still trust him so much. He knows what a good FF needs ands that`s about it. Just the fact that he did this interview throws a curve. People change. And the gaming industry certainly has. Opportunities for collaboration are huge these days. If Microsoft and Sony can share bandwidth. Maybe the Sakaguchi thing is blown out of proportion. Yeah but he works on his own game. He always looks at what FF does, and Microsoft and Sony shared bandwith years ago with FF11 actually. So the industry hasn`t really changed. 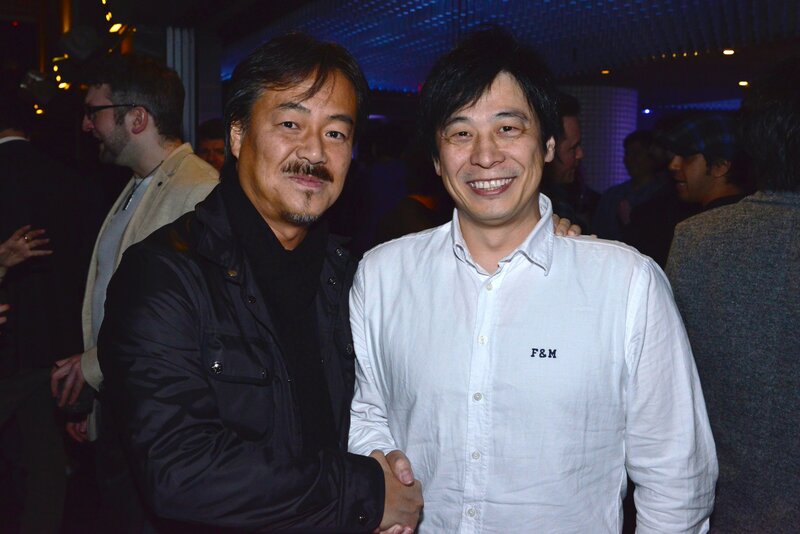 And so far there is no indication for SE working on a FF with Sakaguchi, all there currently is is the old friendship. I mean he even talked with the company when Wada was still the CEO. Sakaguchi has no plans to make or work on a new FF with Square-Enix, as he has his own plans with Mistwalker. Just because he gives advice and is chummy with some of the current Square-Enix employees doesn’t mean jack doodle. He’s given advice before in the post X games and has done interviews like this with Kitase even in 2014 and 2015, but doesn’t mean he’s gonna help in a new SE game or wants to work in Final Fantasy again. The only FF like thing he has recently worked on that wasn’t just giving advice and yelling at the usually gang (or Tokita, who I swear the man has problems with), was with the Terra Battle collaboration with Mobius, and that only happened because he and Kitase are bar/drunk buddies. Oh did he? Well he’s good then. I loved those games. 6 needs a remake bad. If Monolith develops another game for Sony I’ll be all over it. But sadly I doubt that’ll ever be now. Go play The Last Story (for Wii – playable on Wii U). Sakaguchi was in charge of the whole thing. It has one of the most innovative battle systems I’ve seen in a long time in a RPG. Really fun mix of real-time, turn-based and strategy combat. Great characters. It’s not as high budget as an FF, but is very much worth playing. Uematsu did the music, too – so it’s practically the FF that XIII never was (whether or not you like XIII). Ya I got The Last Story the day it released. Definitely one of my faves. VI does not need a remake at all. IMO it does. The voice acting by Terra and Kefka’s VAs in Dissidia 1 and 2 were dead on and I’d like to see that full time in a full 3D RPG on PS4. If they retold that story the way the retold FF4’s in 3D I’d buy it in a heartbeat. Its not a perfect series no but i still like it for trying some less used ideas.